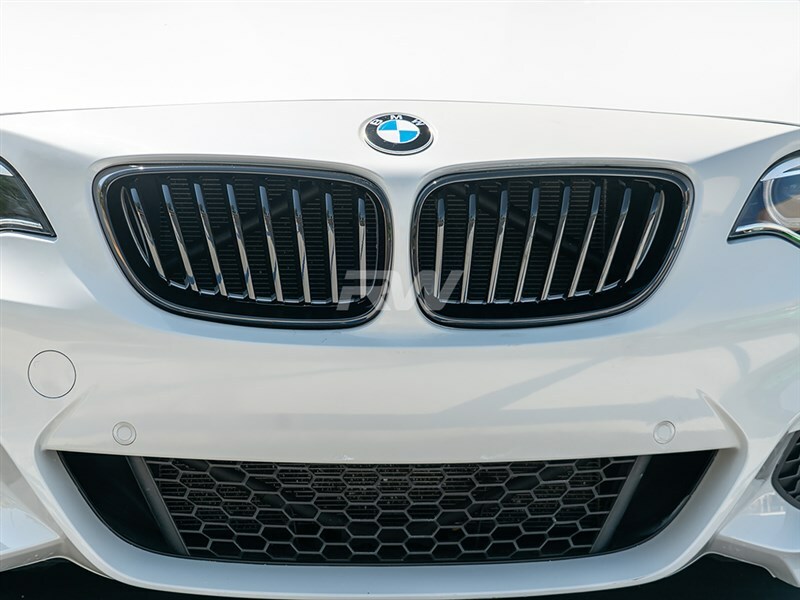 Improve the appearance of your BMW F22 2 series with a set of Gloss Black Kidney Grilles from RW Carbon. 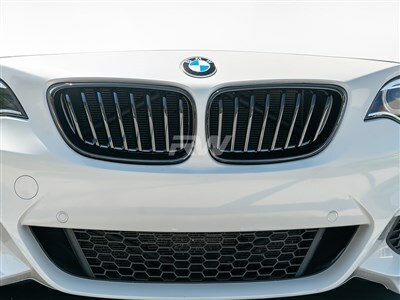 These gloss black grilles fit all 2 series models including the 228i and M235i. They are made out of durable and lightweight ABS plastic and are very easy to install, using the same OEM mounting locations. Fitment on this perfect on all our gloss black F22/F23 grilles. 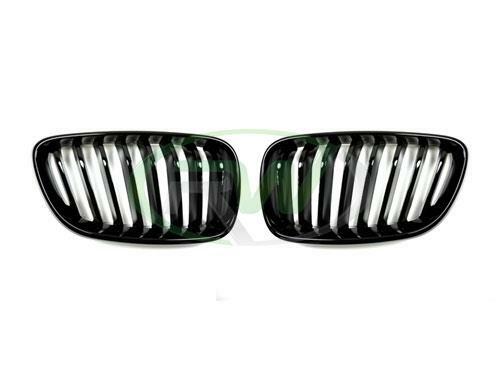 Professional installation is always recommended for RW Carbon's products including these gloss black kidney grilles for your BMW F22 and F23. These grilles install using the same mounting locations as the OEM grilles.